In Hollywood, Ca, a dark alleyway forbodes, connecting Studio 56 and the Record Plant. Music legends of today and yesterday from Elvis, Marilyn Monroe and Mel Torme holed themselves into these studios, all of them making records in the same one hundred yard radius. And, like many stories of legend, the lost replaced the heroes, the junkies replaced the giants, and Satan replaced Sinatra. In the middle, another entryway leads to DeadZone Sound Design. Home of Dead Girls Corp. for the past 10 years. Imagine Depeche Mode with a beat box through a distortion pedal , playing ultra pop at a Satanic disco. Dave Teague burns a hypnotic guitar straight into the psyche. Bruce Miyaki churns the vulgarity within the soul on his bass. Then Mel Mcfail hammers the earth like a sledge , forcing trauma to the body. And all of this abrasion is honed and torqued by the pop-evil song crafting of Toddy T..With the old millennium come and gone, the real Apocalyptic party is ready to begin. 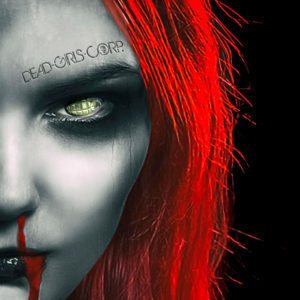 Tags: Bloody Noses and Hand Grenades, Dead Girl, Dead Girls Corp.